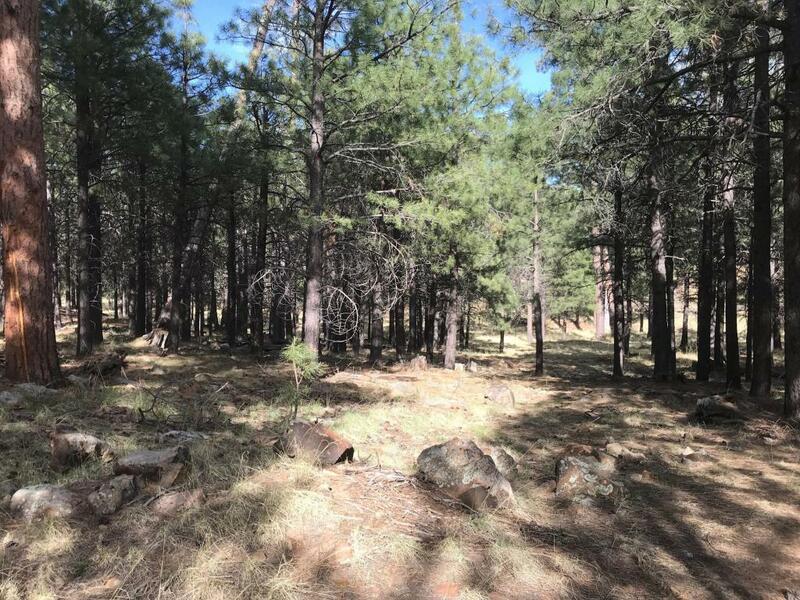 Extremely UNIQUE, Remote, unimproved (recently thinned by professionals) 5 ACRE Parcel in Mesa Verde - near Forest Lakes! 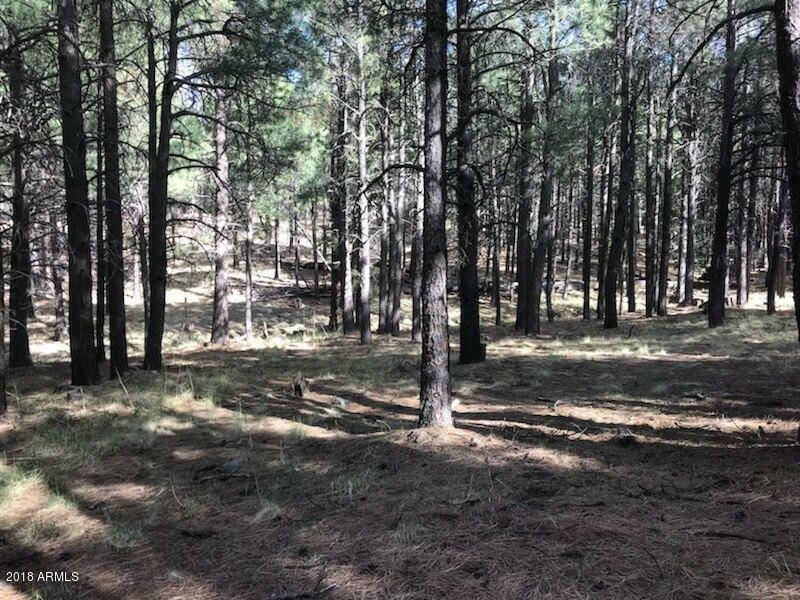 The parcel is contiguous to the Apache Sitgreaves National Forest on the north, 300ft & East 726 ft sides.. Game is everywhere..Unbeatable HUNTING & Fishing Compound - Area 4B! Included with sale is a Large, in place, fully furnished, custom-designed, luxury travel trailer, a 5,000 watt generator & top of the line Tuff Shed stocked with dutch ovens, large variety of outdoor cooking items, camping gear, tents, chairs, tables, and tools. Also a medium duty utility trailer, 500 Gallon WATER tank & SEPTIC. see doc tab for permit info! 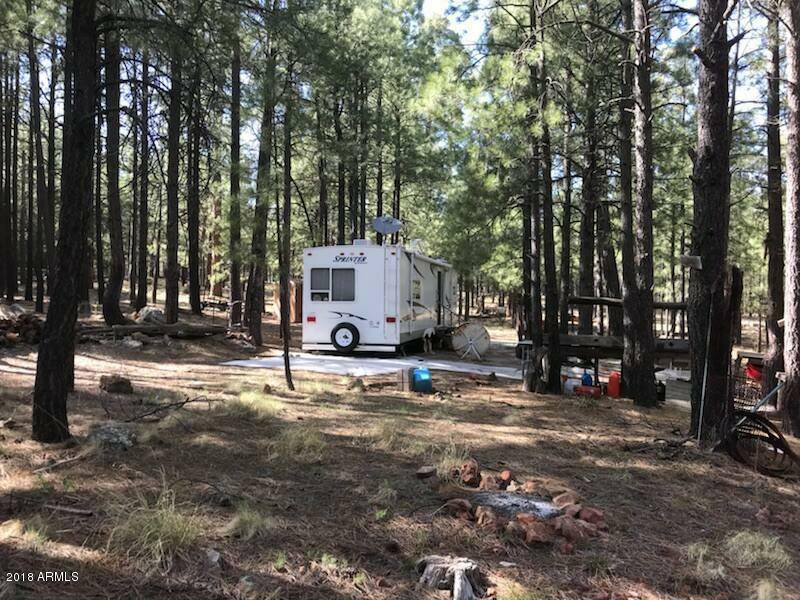 Just outside the travel trailer is a lighted cooking/party/camping area, an outdoor kitchen, two work stations, SEE MORE..a wheeled 40'' steel firepot, stainless steel cold water sink..water is gravity-feed to the trailer and outdoor sink from the uphill water tank. You and/or your friends shouldn't pass up the opportunity to own your own Paradise in Forest Lakes. The Seller will review all serious offers so don't hesitate and make one today..the possibilities are ENDLESS! All Personal Property will convey in As Is Condition. 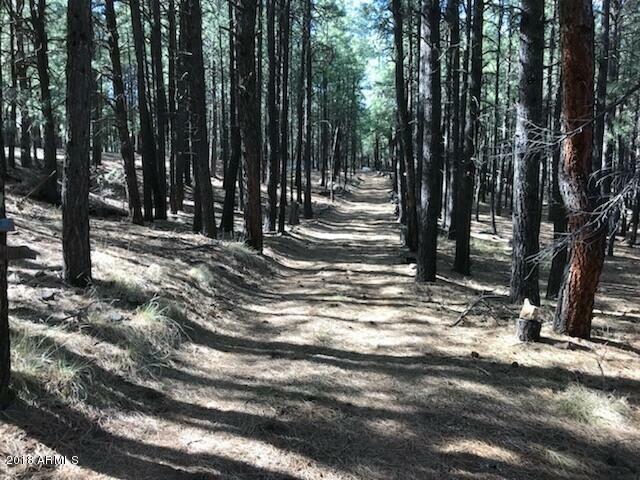 Owner states the property is part of Mesa Verde #5 and does not receive Forest Lakes city services. Leased Satellite/TV Equipment does NOT Convey with sale of property.